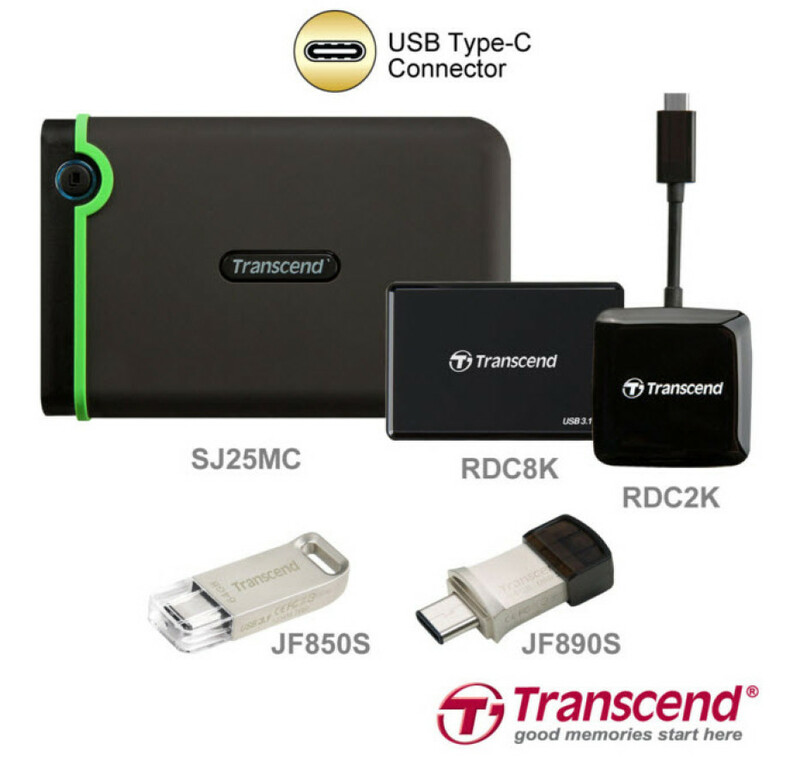 The Transcend JetFlash 850S USB drive comes with a single USB-C 3.1 port and data transfer speeds that can reach 130 MB/sec. The JetFlash 890S model comes with one USB Type-A port and another USB-C port. Both devices are equipped with metallic chassis that are resistant against dust and water and feature capacities of 16 GB, 32 GB and 64 GB. The Transcend RDC8K is next in the pack – this is a card reader that supports SD, microSD and Memory Stick memory cards. The RDC2K reader works with SD and microSD cards and sports a USB Type-A port that allows it to work with Android devices too. The StoreJet 25MC is the last new device – this is an external hard drive that offers 1 TB of free space but this is everything that is known about it.